Samuel Fuller has gone down in film history as being a very eccentric and often times controversial film maker. Wether it’s a story about the disturbing nature of racism that was explored in White Dog, or a callous look at the state of mental institutions and journalism in Shock Corridor, Fuller has shown that he has the ability to take a well known topic and turn it on its head to show you darker elements you may not have thought of before. One of his loudest and most memorable cinematic statements was with his semi-autobiographical war film, The Big Red One. Having served in the American army in World War II, this might be the most personal war movies I have ever seen, and it captures some of the oddest and strangely disturbing sides of war that only people who have been there understand. 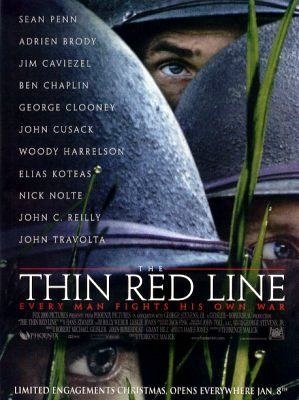 This movie tells the story of the soldiers serving in the 1st Infantry Division, which was nicknamed “The Big Red One” due to the red number stitched on their sleeves, in World War II. The division is led by the gruff and experienced Sergeant (Lee Marvin), who has was introduced to the horrors of war in 1918 when he killed a German soldier four hours after World War I officially ended. 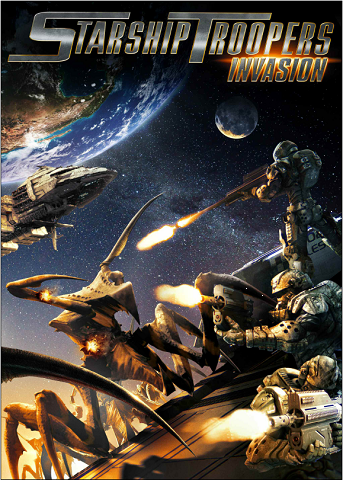 The core soldiers in his squad consist of Pvt. Griff (Mark Hamill), Pvt. Zab (Robert Carradine), Pvt. Vinci (Bobby Di Cicco), and Pvt. Johnson (Kelly Ward). As the squad moves from the conflict in North Africa to the final battles in Germany, the close knit group sees other soldiers come and go, but their team work and love for each other keeps them together until the very end of the bloody days of the Second World War. I think it’s worth noting the interesting production history The Big Red One was subject to. Fuller obviously had a lot to say with this movie, and it’s been available as completely “reconstructed” movie since 2004. This sort of director’s cut, which was based more on the shooting script than the original released in 1980, runs two hours and forty minutes, which is about forty five minutes longer than the original version. I’m looking at the reconstructed version since I feel like it’s the full story that Samuel Fuller was trying to tell. I honestly can’t even imagine another, shorter version since this one feels so organic and real the way it is. With a movie as long as this, it’s easy to say that it goes on a bit too long, but that just isn’t the case here. 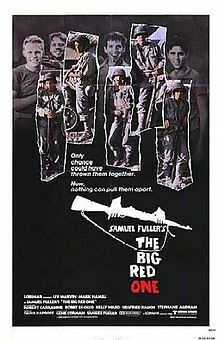 The Big Red One shows the absurd, disturbingly strange, and sometimes comedic aspects of war and what being a soldier is seven years before Kubrick made his magnificently odd Full Metal Jacket. While I definitely love Full Metal Jacket, I have to say The Big Red One feels much more personal and real. I really can’t seem to stress enough how unique this movie is, and how war through the eyes of a whacked out mind like Samuel Fuller’s is unlike any other depiction of war. Some of my favorite war movies like Saving Private Ryan and Fury deal with camaraderie and idea of brotherhood among soldiers, and The Big Red One does that as well. On the flip side, the aforementioned Full Metal Jacket deals more with the psychology of war and in many ways the absurd mindset of it all. What Fuller does with The Big Red One is he puts a strong focus on the setting, and I don’t mean how some of it takes place in North Africa and some in France. What I mean is the things people said, did, and saw during their time in the war. 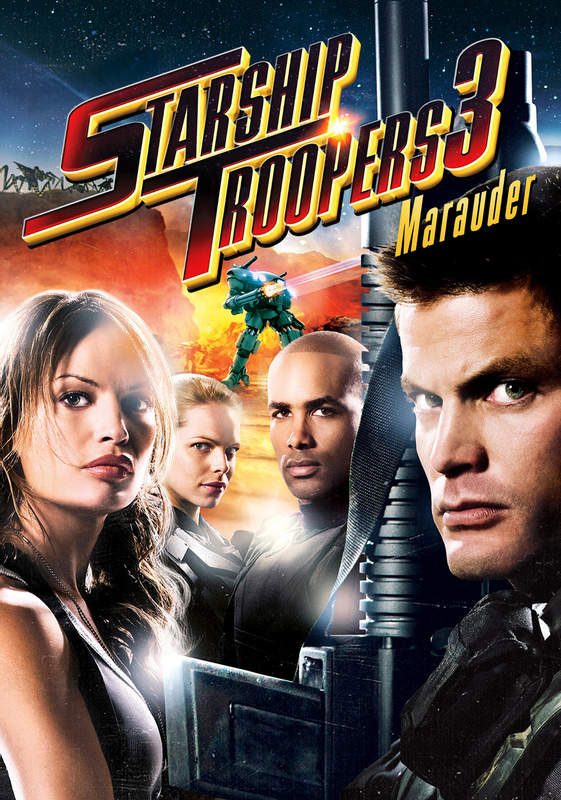 Some of the scenes in this movie are now permanently seared in my brain forever, and some of them are clearly taken right from Fuller’s own experiences or things that were told to him by his fellow soldiers. There’s one scene where the squad has to hide behind a pile of rocks while a German soldier relieves himself not ten feet away. There’s another exceptional moment where a young boy agrees to help take the squad to a gun placement in return for a coffin to bury his recently deceased parents. These are some really incredible moments and capture the other worldly setting a war torn country can employ. War movies really don’t work if the characters aren’t any good because we want to see these people survive. It’s important to feel a connection with them, and the characters in The Big Red One are handled very interestingly. There’s a very strong central performance by Lee Marvin, and the four soldiers in his squad have very distinct personalities brought to life both by Fuller and by the actors playing them. It’s said that each soldier in the squad represents a side of Fuller, which is really cool but I see his personality the most in Robert Carradine’s character, Zab, who is full of wise cracks, writes books, and has a seemingly endless supply of cigars. The other characters that go in and out of the platoon are referred to as “replacements,” and the characters are treated as such. This shows the core strength of the Sergeant and his main four soldiers, while also showing how disposable human life can seem in those extreme situations. 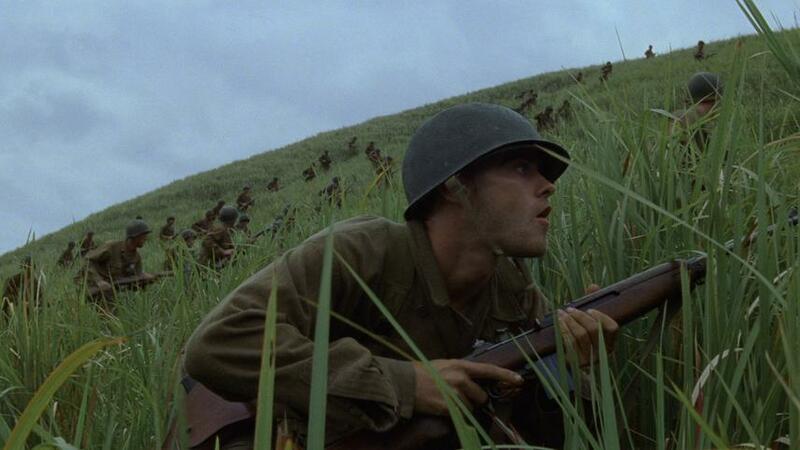 Plain and simple, The Big Red One is one of the best war movies I’ve ever seen, and I can’t imagine how much it lacked before the reconstructed version. 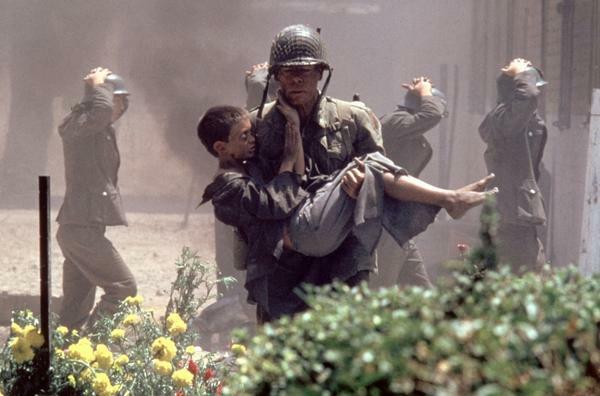 Most war movies seem to be very much anti-war, and while this movie certainly doesn’t endorse any kind of violence and also shows the horror that is seen on a daily basis, there’s a sense of pride that the soldiers have throughout the film. This is most certainly a reflection of Fuller’s. It’s a brutally honest look at the lives and relationships of soldiers in a group, and also an examination of what this level of violence does to a setting. This is an amazing film, and watching the reconstructed version is mandatory.